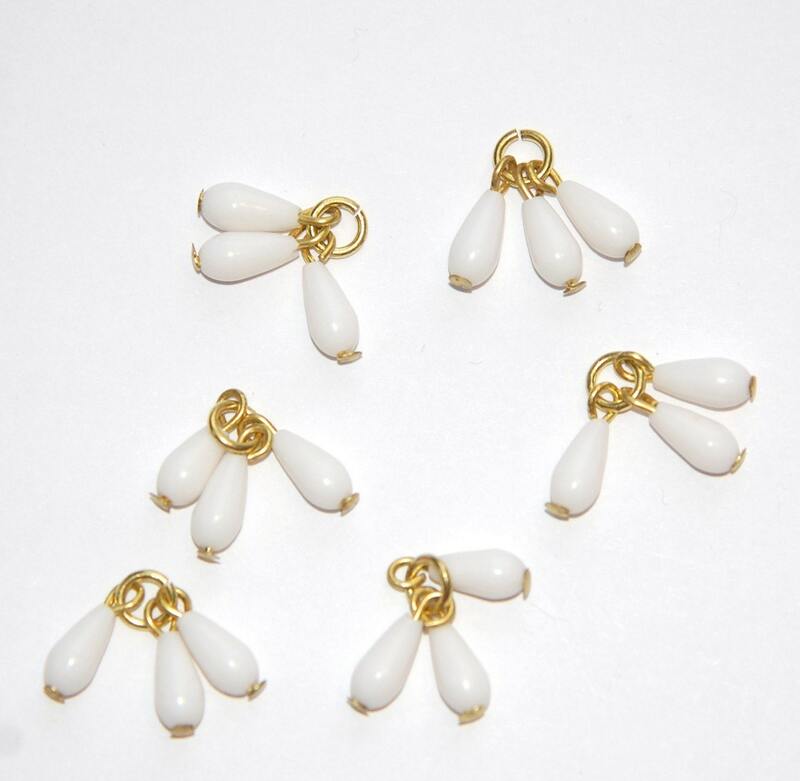 These are vintage white acrylic teardrops that were made in Japan. There are 3 teardrops, each with a loop, attached to a jump ring. You could remove these from the jump ring and use them individually. The bead measures 10mm with loop. You will receive 6 sets/18 individual drops. very happy with all my beads i have already used most and re ordered!